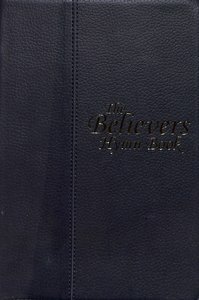 The Believers Hymnbook has for many years been widely used among assemblies of the Lord's people, in collective and individual worship and praise. Our hearts have responded with these hymns and they will continue to bless the gatherings of saints all over the world. This edition of the Believer's Hymnbook has the popular tune for the hymn followed by alternate tunes that are used by many where available. About "Believer's Hymn Book - Music Edition (Navy Music Book)"